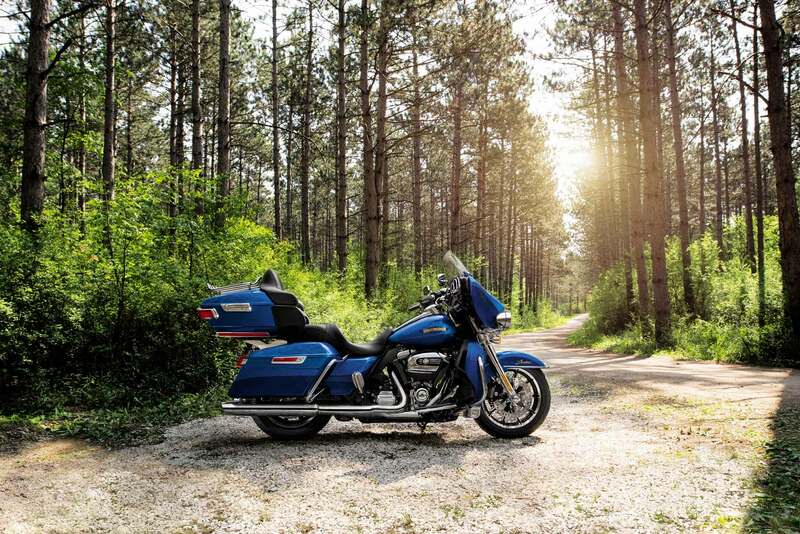 You don’t have to be big in stature to ride a machine that’s big on touring features. The Ultra Limited Low model has been re-engineered with a lowered front and rear suspension, giving it the lowest seat height in touring, just 26.5 inches off the ground. There’s also an extended reach side stand and smaller diameter grips. It’s all within your reach. 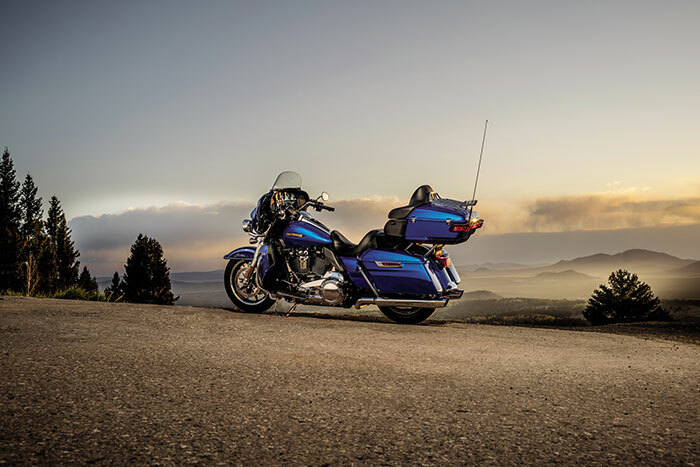 The Ultra Limited Low model offers top-of-the-line touring comfort that’s tailored to fit. It’s out-the-door, ride-ready with every premium feature and Project RUSHMORE enhancement found on the Ultra Limited model. The bike’s fit delivers a dynamic handlebar reach with less effort, and lets riders at heights as low as 165 cm get boots flat on the ground and easily to the foot controls. When we set out to design a Harley-Davidson® touring machine, you know we’re aiming high. These are not just motorcycles, they’re part of the American landscape. There’s a standard to uphold. Through all the miles of testing, and the countless hours we endure to improve the way a Harley-Davidson® motorcycle works and feels, we never take our eyes off the other thing that separates a Harley-Davidson® motorcycle from any other motorcycle on the road: The Look. 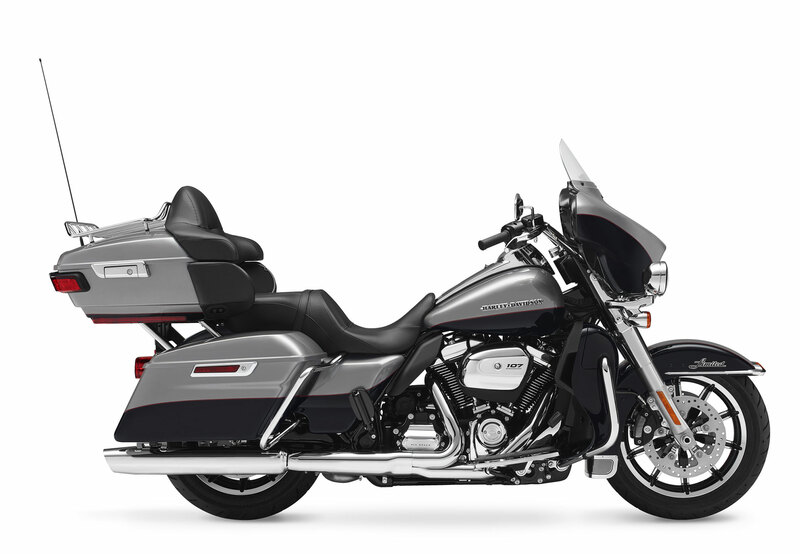 For example, check out the new Milwaukee-Eight™ engine mounted in the touring frame. We put as much work into making it look like a piece of mechanical art as we put into making it deliver more power, sound better and run cooler. Let your eyes take a slow ride over the rest of the machine. You see classic Harley-Davidson style and a sleek modern look come through at the same time. As up-to-date as the weather report. As timeless as the road is endless. 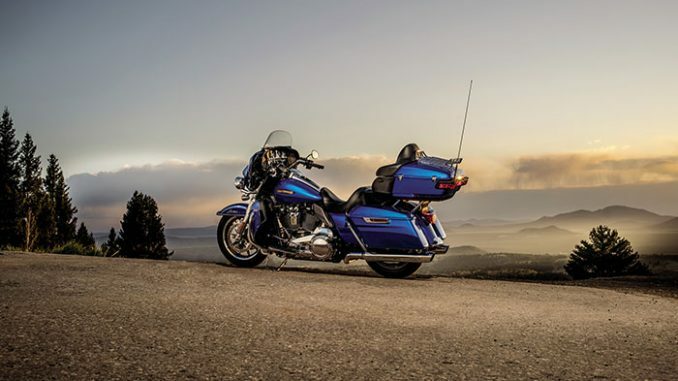 We matched the all-new Milwaukee-Eight™ engines in our touring line this year with a totally re-engineered dual bending valve front and rear suspension with easily-adjustable emulsion shocks. It’s lowered one inch to give you more comfort, more control and more confidence in your handling. New rear shocks give you 15 to 30% more pre-load. They adjust with the turn of a single knob, no tools required. New, bigger pistons have more area than before for improved damping performance over the range of the suspension travel. This new fork technology improves the ride, especially over the harshest bumps, and reacts faster to keep the wheel planted for confident braking and handling. * *Compared to the 2016 Touring Model engines. A closer handlebar position and reduced diameter grips combine to make working the clutch and front brake levers easy on the Ultra Limited Low motorcycle. Long story short, it’s less reach for your arms and fingers. You don’t have to worry about having your legs bumping into the passenger footboards when you’re backing up the bike. The passenger footboard mounts let you fold them up and tuck them completely out of the way in seconds. On the Ultra Limited Low motorcycle, riding is easy. And so is maneuvering your bike into a parking spot. Let’s start with this: when you see the iconic shape of a Harley-Davidson® Batwing fairing coming at you down the road, it leaves no question that you’re looking at machine born in Milwaukee and built for gigantic miles of road. Last year, we introduced the Project RUSHMORE Batwing fairing. We made the iconic shape sleeker and gave it a more progressive look. But this isn’t just about looks. It’s about the ride. The Project RUSHMORE Batwing fairing gives you less head buffeting (see comfort section for the full story on that) but also the look that instantly announces “Hey, this is a HARLEY-DAVIDSON® motorcycle.” Of course, we didn’t stop at the fairing. The fairing lowers and Tour-Pak™ luggage case got a sleeker look to match. And we worked over the front fender, too– with a clean look that’s cut back to expose more of the wheel and tire. It all comes together for a look that’s never been seen before, yet instantly familiar. 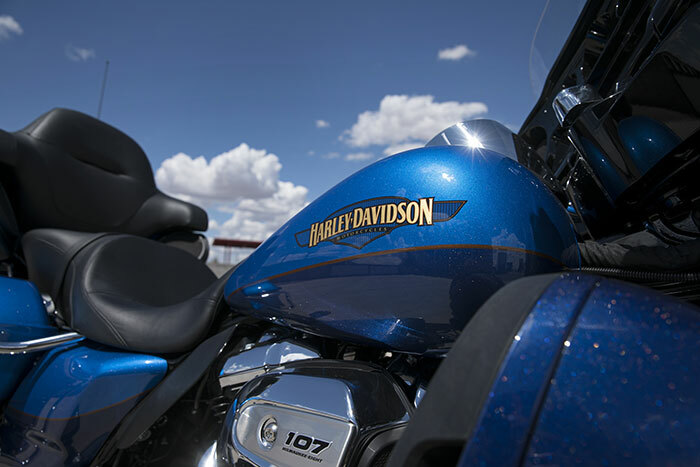 Welcome to the next generation of Harley-Davidson® touring motorcycles. Put your eye to the inner fairing of the Ultra Limited. There’s a bigger display screen (see the whole story in the infotainment section). Check out the gauges. You’ll notice a 10 percent larger viewing area, with wider, taller numbers sitting on top of that classic black background. The information gets bigger and better too. There’s a gear indicator for all six gears and the display area, which can now be operated by an extremely convenient trigger switch, puts more information at your fingertips. The temperature and fuel gauge are larger too. When you’re on the road, one quick glance tells you everything you need to know. Part of the unmistakable style of the Harley-Davidson® Ultra Limited motorcycle is plenty of room for showing off your paint. This classically styled, bold six-gallon fuel tank doesn’t just give you a bigger canvas for premium or custom paint; it holds six gallons of go so you can eat up a lot more road between pit stops. We know fuel economy is important, ? ?but so is style. A dual-color paint scheme, crisp pinstripes that run the length of the bike and special Harley-Davidson® tank medallions give this ride a one-of-a-kind look. Seat Height, Unladen 27 in. Weight, As Shipped 872 lb. Weight, In Running Order 909 lb.